Right in the historic district of Cuenca, this UNESCO world heritage site hotel offers colonial-style décor and a central patio with a skylight. Wi-Fi is free and Mariscal Lamar Airport is only 3 km away. Hotel El Quijote has comfortable rooms with cable TV. All rooms are equipped with safety deposit boxes and private bathrooms with free toiletries. Cuenca hot springs are 10 km from Quijote and the tour desk can offer tips for visiting the Incan ruins of Ingapirica, 36 km away. A full American breakfast is offered daily at the bar and restaurant, decorated with charming Spanish-style wrought-iron grilles. Regional and international flavours are available. The Posada is located old colonial house that has been completely restored and remodeled. It is situaded on the historical center of the city, where visitors will feel comfortable in a family atmosphere. Mansion Alcazar is a colonial boutique hotel in the center of the vibrant city of Cuenca. It offers elegant accommodations with queen beds, free parking and complimentary Wi-Fi. Rooms at the Mansion Alcazar are tastefully decorated with antique wood furnishings. All have air conditioning, LCD and cable TV and fresh flower bouquets. Suites offer a king bed, a separate lounge area and scenic garden views. The bar at the Mansion Alcazar offers an extensive wine list, which guests can enjoy in the hotel´s jasmine flower garden. They can also dine in the Casa Alonso restaurant which offers regional and international dishes. The hotel is conveniently situated only 2 miles from the Mariscal Lamar Airport, and a short walk from the Parque Calderon Square. An airport shuttle is available. The Crespo is a large villa-style hotel in the center of the old Incan city Cuenca. It offers accommodations with balconies, 2 restaurants, a bar, and a complimentary airport shuttle. Rooms at the Hotel Crespo are decorated with rich colors and mahogany woods. All are equipped with cable TV and a minibar, and private balconies offer a view of the Tomebamba River. 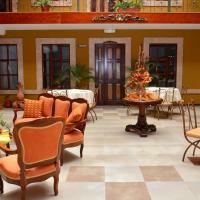 Guests at the Crespo Hotel can enjoy the hotel´s various dining options. The La Casone restaurant offers fresh seafood while the cafe serves burgers and sandwiches. Guests can also relax with a glass of regional wine at the Alambique Bar. The hotel offers free Wi-Fi in public areas, and complimentary private parking at a nearby location. The Hotel Santa Monica offers tasteful accommodations with free Wi-Fi in the center of Cuenca, one mile from Mariscal Lama Airport. It offers complimentary parking and an airport shuttle. Rooms at the Santa Monica Hotel offer spacious accommodations with large French windows and private balconies. All rooms feature king-size beds, cable TV and modern parquet floors. Guests at the Hotel Santa Monica can benefit from a daily breakfast buffet with fresh fruits, juices and pastries. Due to its central location, the hotel is within walking distance of several restaurants, bars and entertainment options. This nostalgic boutique hotel, set in a 19th century old house, offers luxurious accommodations and Wi-Fi. Situated in the charming Old Town district of Cuenca city. Rooms at Hotel Boutique Santa Lucia are decorated with thematic Baroque influences which generates a palace atmosphere. They are equipped with LCD cable TV, minibar and work desk. Room service is available 24/7. Guests at Santa Lucia Hotel are welcomed with a complimentary cocktail. A daily buffet breakfast is served in the inner court yard. Dinner options include 3 restaurants with different styles and cuisine, varying from traditional regional to international dishes. Situated in this living museum part of the city, there are many points of interest just within a short walk. San Alfonso and Inmaculate Conception Cathedrals are only 220 yards from the hotel. Mariscal Lamar Airport is within a 2 miles reach. In Cuenca City’s historic district, guests can enjoy sauna facilities and rooms with free Wi-Fi in a renovated Colonial mansion dating from 1827. Rafting trips can be arranged through the tour desk. Rooms at Hotel Coronel are elegantly decorated with parquet floors, stylish wooden bedsteads and details of Colonial-inspired décor. They have cable TV, work desks and minibars. Some of them feature jacuzzis and dining areas with kitchen facilities. A continental breakfast with regional jams and treats is served daily at the restaurant, styled with crafted dark wood paneling and refined hand-painted murals. The bar serves delicious drinks in a causal atmosphere. Coronel is 3 blocks from the city’s picturesque main square and 2 blocks from the local artisan’s fair. Mariscal Lamas Airport is a 10-minute ride from the hotel. Airport shuttles may be arranged. This classical hotel in downtown Cuenca is 2.5 miles from Mariscal Lamar Airport, and 300 ft from the cities financial center. It is filled with vintage furniture and crystal chandeliers, and offers free Wi-Fi. Rooms at Cuenca Hotel have warm yellow and red décor with fresh flower arrangements. All are equipped with LCD and cable TV and have private bathrooms with 24-hour hot running water. La Gracia restaurant and bar serves regional Cuencan specialties, and a selection of fine South American wines. A breakfast buffet with croissants, jams and natural juices is served daily. Guests can enjoy a classic game of pool and foosball in the English-style game room. A business center is available, and guests can book tickets and city tours at the tour desk. On a quiet cobblestone street, Villanova Inn Cuenca features a terrace overlooking the Tomebamba River. Free Wi-Fi is available. The historic center is 300 ft away. Rooms at Villanova Inn feature parquet floors and wooden bedside tables. Some rooms enjoy a great river view. Facilities include cable TV and spacious working areas, and laundry service is provided. A continental breakfast is served. Tour packages can be booked. Gualeco and Chordele villages, which specializes in gold and silver handcraft, are a 40-minute drive away. Villanova Inn Cuenca is 300 ft from Millenium shopping mall. Boasting a local décor with ironwork and basketwork, Morenica del Rosario offers rooms with free Wi-Fi and plasma TVs in the historic district, 650 ft from the main square. There is a traditional cafe. Stylishly decorated, rooms at Morenica feature minibars and working areas. Some of them boast private balconies with a city view. A buffet breakfast including fresh fruits is served. Plaza Domingo Cafeteria offers a wide variety of coffees and chocolates. Guest can unwind in the classy lounge, ornamented with a traditional Cuenca’s décor, or enjoy brews in the tea room. There is an antiques gallery. The 24-hour front desk can make arrangements for shuttles to Mariscal Lamar airport, which is a 10-minute drive away. Morenica del Rosario is 650 ft from the New Cathedral and half a mile from the Central Bank Museum. Boasting a colonial-style central courtyard, draped curtains and canopy beds, this luxurious hotel is right in Cuenca’s historical district. Wi-Fi is free. Hotel Carvallo is set in a renovated house dating from the 19th century. Guests can enjoy 4-star décor and services. Rooms at Carvallo are styled with elegant furniture and a jewel toned palette of lush fabrics. Ceilings feature elaborate decorations and some rooms include separate living rooms and fireplaces. All rooms have baths, cable TV and minibars. A buffet breakfast with fresh juices, jams and cheese is served daily at the restaurant. Room service is available. Carvallo is 1 block from Calderon Park. Guests can enquire about car rental and currency exchange services at the tour desk. Shuttles to Mariscal Lamar Airport, 7 km from the hotel, can be arranged. There is free public parking upon reservation. Set in a late 19th house built by Friar Luis Sarmiento, Hotel La casona offers rooms with free Wi-Fi and cable TV 5 km from Cuenca’s historic centre. There is a restaurant, and free parking is provided. The commercial district is 5 km away. Decorated in soft hues, rooms at La Casona are decorated in soft hues. All of them feature heating and work desks, and some have flat-screen TV sets. Laundry service is provided. A buffet breakfast including milk, homemade bread, fruits, marmalade, butter, eggs and fresh juices can be requested at a fee. Elita Restaurant offers a wide variety of local and international dishes. Guest can relax in the lobby, which features a fireplace. Hotel La Casona is 15 km from Mariscal Lamar Airport. Set in a colonial-style building featuring a charming garden, Hostal Macondo offer rooms with free Wi-Fi in Cuenca’s historic centre. Breakfast is provided. The Museum of Modern art is 500 metres away. Decorated with parquet floors and wooden furnishing, rooms at Macondo Hotel feature heating and seating areas. Some of them have private balconies. A continental breakfast is served daily from 7.00 to 10.00. Beverages from the coffee shop can be enjoyed in the garden or on inner patio. Guests can relax on the hammocks or in the shaded galleries. They can also enjoy themselves reading a book from the library. Board games are available. Hostal Macondo is 2 km from Alejandro Serrano Aguilar Stadium and 3 km from Mariscal Lamar International Airport. Only 400 metres from Cuenca’s Cathedral and Central Park, Hotel Boutique Los Balcones offers rooms with free Wi-Fi and flat-screen TVs. There is a restaurant, and breakfast is provided. A rooftop terrace is featured. Arranged in a colonial style house, rooms at Boutique Los Balcones have stylish decor. All of them feature private balconies with city views, and heating. An American breakfast is served daily. The Tavola restaurant offers a wide variety of local dishes. Guests can enjoy beauty treatments or relax on the rooftop terrace. Mariscal Lamar International Airport is a 10-minute drive away. The commercial area is 3 minutes away by car. Set in a stylish colonial-style building in Cuenca, Ecuador, Hotel Casa San Rafael is 450 metres from Abdon Calderon Park. The hotel offers rooms with free Wi-Fi and flat-screen TVs. Breakfast is provided, and massage sessions can be requested. Decorated in soft hues, rooms at Casa San Rafael have cable TV. All of them feature private bathroom with toiletries. An American breakfast is served daily. Coffee and tea making facilities are available in common areas. Guests can enjoy themselves reading a book at the reading hall or enjoy a massage session at a fee. Airport shuttles can be secured at a fee. Hotel Casa San Rafael is 3.4 km from Mariscal Lamar Airport and 36 km from El Cajas National Park. Set in a charming house with a garden, Hotel Victoria offers rooms with free Wi-Fi and private balconies in Cuenca. Breakfast is provided, and a restaurant is featured. Remigio Crespo Museum is 100 metres away. With large windows overlooking the garden and the city, rooms at Victoria are very bright. They have seating areas fitted with stylish furnishing. All of them have heating and private bathrooms. An American breakfast including fruits, juices, eggs, assorted breads, jam and butter is served daily. 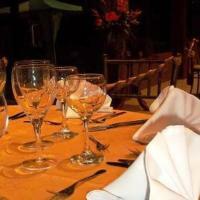 El Jardin Restaurant offers gourmet food, and there is also a bar. Guests are welcomed with free drinks. Guests can relax in the garden, which affords panoramic views of the city, or in the charming lobby fitted with antique furnishing. Hotel Victoria is 500 metres from the Old Cathedral and 3 km from Mariscal Lamar International Airport. A historical Colonial mansion can be enjoyed in the historical district of Cuenca. There is a charming red-tiled patio decorated with plants and an antique water fountain. Wi-Fi is free in public areas. Hotel Inca Real is a 5-minute walk from Tomebamba River. The tour desk can assist with tips for exploring the area. A full buffet breakfast with tropical fruits can be enjoyed daily. Akelarre Restaurant offers local flavours. Rooms are fitted with cable TV and private bathrooms with toiletries. Some rooms have hand-painted wall decorations and some bathrooms include bathtubs. Shuttles to Mariscal Lamar International Airport, a 10-minute drive, can be arranged. Comfortable rooms with free Wi-Fi are offered in a house with modern architectural design. All rooms have garden views and Mariscal Lamar Airport is only 5 km away. There is free private parking on site. Tastefully decorated rooms feature flat-screen cable TV, parquet floors and private bathrooms with showers. Some rooms include kitchen facilities and private balconies. Casa Lloret has a spacious lobby with 24-hour tea and coffee making facilities. A buffet breakfast including organic ingredients can be enjoyed daily. There is a spacious living room area with a fireplace, contemporary artwork and a large marbled kitchen bar with high stools. The tour desk can offer advice for getting around the city and arranging shuttles. Del Rio Mall is a 5-minute walk away and Cuenca’s historic circuit is 3 km from Lloret. The bus line going to the city centre is 100 metres away. Aiport shuttles can be requested for a fee. Featuring a swimming pool, a sauna, a fitness centre and a garden, this hotel offers free Wi-Fi and free parking. There is a restaurant and a business centre. The rooms at Hotel Oro Verde Cuenca feature a private bathroom with shower, minibar, a desk, and LCD cable TV. Room service is provided. The 24-hour front desk can arrange laundry, dry cleaning and ironing services, as well as massage sessions. The hotel also has a terrace and a tour desk. Luggage storage is possible. Hotel Oro Verde Cuenca is a 10-minute drive from Calderon Park, a 30-minute walk from the Historical Centre, and 8 km away from Mariscal Lamar Airport. Featuring a restaurant and free Wi-Fi, this hotel includes an American breakfast in central Cuenca, only 100 metres from the main commercial area. The rooms in Hotel España feature a private bathroom with shower, a desk, and cable TV. Room service is provided daily. The 24-hour front desk can arrange laundry and ironing services. The Cuenca Bus Terminal is 350 metres away and the Inmaculada Cathedral is 800 metres away. Mariscal Lamar Airport is a 5-minute drive away. Featuring a terrace, a restaurant, and a cafeteria, this hotel is located in front of San Francisco Church and 2 blocks from Calderon Park, in central Cuenca. Free Wi-Fi is available. The rooms in Hotel Milan feature a private bathroom, a desk, a safety deposit box, and cable TV. An American Breakfast is served daily. There is a 24-hour front desk and security service, as well as a tour desk. Laundry service is also available. Mariscal Lamar International Airport is a 10-minute drive away. Located 100 metres from Cuenca’s historic city centre, Hostal El Monasterio offers rooms with private bathrooms and free Wi-Fi. There is a public kitchen and a terrace with panoramic city views. El Monasterio features a 24-hour front desk service and a business centre. DVD movies are available for free. Laundry service is also available. Inmaculada Cathedral is 100 metres from Hostal El Monasterio, and the bus station and Mariscal Lamar Airport are 2 km away. Featuring a garden and a terrace, this hotel offers free Wi-Fi and scenic views in Cuenca. A daily American breakfast is included. The rooms in Hotel Americano feature a private bathroom with shower, a desk and a TV. The 24-hour front desk can arrange laundry and ironing services. Hotel Americano is 1 km from the Historical Center and from Calderon Park, and 1,5 km from the bus station. Mariscal Lamar Airport is 2 km away. Free parking is possible on site. Located 350 metres from Calderon Park, this hotel offers exclusive art tours in Cuenca. Wi-fi is available and is free of charge. Some rooms in Casa Naranja feature a private bathroom with a shower and other rooms have shared bathroom facilities. Casa Naranja has a tour desk that can provide travel information. The hotel also has shops and a design showroom with handmade crafts. The bus station is 2,5 km away and Mariscal Lamar Airport is 3 km away. Located in the historic centre of Cuenca, this hotel features colonial architecture, as well as a garden and a terrace. Free Wi-Fi and an American breakfast are included. 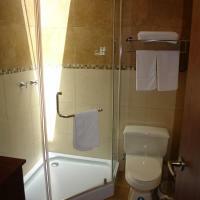 The rooms in Hotel San Andres feature a private bathroom with shower and LCD cable TV. Some rooms have garden views. Room service is provided. The 24-hour front desk can arrange laundry, dry cleaning and ironing services. Wi-fi is available in public areas and is free of charge. Hotel San Andres has a local handicraft gallery. This hotel is located 100 metres from Santo Domingo Church, 350 metres from 10 de Agosto Market, and Mariscal Lamar International Airport is a 5-minute drive away. Comfortable rooms with tasteful décor are offered just 8 blocks from Cuenca’s Cathedral. Wi-Fi is free and the bus station is 3 blocks from the hotel. Hotel Italia has rooms with carpeted floors and wood furnishings. All of them are equipped with private bathrooms and minibars. The suite offers plenty of space and a large flat-screen TV. A full buffet breakfast is served daily at the restaurant, where guests can also dine á la carte in an elegant setting. Room service is available. There is 24-hour front desk assistance. 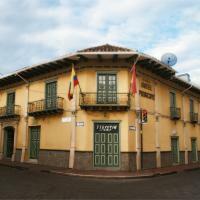 Set in colonial-style house built in 1930, Hostal Calle Angosta offers rooms with free Wi-Fi in Cuenca, Ecuador. Breakfast and free parking are provided, and there is a restaurant. The city centre is 600 metres away. 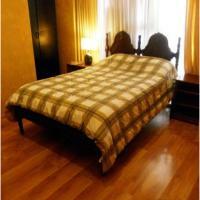 Decorated with parquet floors and wooden furnishing, rooms at Hostal Calle Angosta Ecuador are very bright. They feature TV sets, bedside tables and private bathrooms. An American breakfast is served daily. Regional dishes can be ordered at the restaurant. Airport shuttles can be arranged. Hostal Calle Angosta is 5 km from Mariscal Lamar International Airport and 1 km from Calderon Park. The bus station is 50 metres away. Located in the heart of Cuenca’s historic centre, Hotel El Conquistador offers rooms with free Wi-Fi and plasma TV. There is a restaurant, and breakfast is provided. Decorated with wooden furnishing, rooms at El Conquistador feature heating and minibars. All of them have private bathrooms with showers. A buffet breakfast is served daily. Local and international dishes can be enjoyed at the restaurant, whereas drinks and snacks can be ordered at the bar. The 24-hour front desk can secure airport shuttles at a fee. Hotel El Conquistador is 1.5 km from Mariscal Lamar Airport and 1 km from the bus station. Hostería Baguanchi has rooms with free Wi-Fi in Cuenca. Private parking is free. 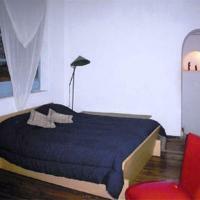 Hosteria Baguanchi has tastefully decorated rooms with parquet floors and flat-screen cable TV. Private bathrooms feature free toiletries. A full American breakfast with jams and fruits is served daily. International flavours can be enjoyed at the restaurant in an elegant setting. The hotel is 2 km from Amaru City Zoo and 10 km from Calderon Park. Mariscal Lamar Airport is also 10 km away. Chic interiors can be enjoyed in a refurbished Colonial-style mansion in Cuenca. San Juan is only 200 metres from Calderon Park and Cathedral. Wi-Fi is free. With sculpted wood details, upholstered chairs and Spanish galleries, San Juan Hotel is styled with elegant décor. Rooms are equipped with flat-screen TVs, minibars and private bathrooms with free toiletries. Some rooms feature decorated wallpaper, parquet floors and antique style furniture. A full American breakfast with juices, fruits and eggs can be enjoyed daily. The hotel’s tour desk can provide tips for visiting the highlights of the area. Mariscal Lamar Airport is a 7-minute drive. Featuring a fully equipped common kitchen, Hostal Sanchez offers rooms with cable TV, and private or shared bathroom facilities. Free Wi-Fi is available in public areas. Guests at Hostal Sanchez can request luggage storage and laundry services, or unwind in the terrace. There is a 24-hour front desk service that can useful provide tourism information. Cuenca’s bus station is 500 metres away, the Cathedral is 800 metres away, and Mariscal Lamar Airport is 1,5 km away. Only 100 metres from Cuenca’s Cathedral, Hotel Rio Piedra offers rooms with free Wi-Fi and cable TV. Breakfast and free parking are provided. Calderon Park is 100 metres away. Fully carpeted, rooms at Rio Piedra are very bright. They feature telephones and large windows overlooking the city. An American breakfast is served daily. Guests are welcomed with complimentary drinks. Hotel Rio Piedra is 2 km from Mariscal Lamar Airport. Featuring a terrace and gardens, this bed and breakfast offers a rooftop panoramic viewpoint of the historic centre of Cuenca, in Ecuador. Free Wi-Fi is available and breakfast is included. Guests are welcomed with complimentary cocktails and free coffee and tea service is provided. Rooms at La Casa del Centro Hospedaje Cuenca are fitted with satellite TV. There is a common PC with free Internet access and a printer. Guests can relax at the reading areas with a natural solarium and choose a book from the hotel's extensive library. Free transfers to and from Mariscal Lamar International Airport -1,5 km away- can be arranged and free private parking is possible on site. The bus station is 1 km away and the craft market is 500 metres from the property. Boasting a swimming pool, a sauna room and thermal baths, Termal Rodas has comfortable rooms with free Wi-Fi in Cuenca. Del Río Shopping Mall is a 5-minute drive. Hosteria Termal Rodas has rooms with free décor, satellite TV and views of the swimming pool. All rooms have safety deposit boxes and private bathrooms with free toiletries. An American breakfast with eggs and fresh juices is offered daily. Guests can treat themselves to regional flavours at the restaurant. La Inmaculada Cathedral and Central Park are 11 km away. Mariscal Lamar International Airport is an 18-minute drive from the hotel and private parking is free. Located in Cuenca’s commercial and cultural area, only 70 metres from the bus station, Hotel Tomebamba features a restaurant and free Wi-Fi access in public areas. American breakfast is provided. The rooms in Hotel Tomebamba feature private bathrooms and cable TV. Room service and laundry services are provided. Hotel Tomebamba is 200 metres from Cuenca’s Cathedral and Mariscal Lamar Airport is 5 km away. Featuring charming décor with Colonial-style objects and stucco walls, Casa del Aguila has comfortable rooms with free Wi-Fi in Cuenca. The town’s cathedral is 5 blocks away and Tomebamba River is a quarter mile away. Rooms at Casa del Aguila come equipped with safes and private bathrooms with free toiletries and slippers. Suites feature elegant furniture, chandeliers, parquet floors and draped curtains. A buffet breakfast is served daily and there is a coffee shop on site. A restaurant is also available. Mariscal Lamar Airport is only 2 miles from the hotel. Comfortable rooms with colourful décor can be enjoyed in the heart of Cuenca. Wi-Fi is free and Mariscal Lamar Airport is only 1 km away. 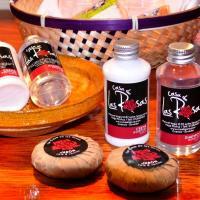 Casa de Las Rosas offers rooms with cable TV and private bathrooms with showers. Some rooms also feature private balconies and garden views. A buffet breakfast is offered daily. Cuenca’s historical district is 800 metres from Las Rosas and Cajas National Park is 35 km away. Boasting hand-painted murals and details of Colonial-style décor, Vieja Mansion offers rooms with free Wi-Fi in Cuenca. Local phone calls are free and Calderon Park is a 5-minute walk away. Hotel Vieja Mansion has rooms with views of the interior courtyard, cable TV and private bathrooms with showers. There is a laundry room on site. A daily breakfast is offered and guests can enjoy Californian and international cuisine. Room service is available. There are computers with free Internet access and Mariscal Lamar Airport is 4 km from the hotel. Located 1 km from Cuenca's historical centre, Apartamentos Otorongo offers self-catering accommodation with free Wi-Fi. Mariscal Lamar airport is 3 km away and 24-hour front desk assistance is provided. The accommodation at Otorongo features kitchens and private bathrooms. The studios include sofas and cable TVs. Guests can request Continental and American breakfast for an extra fee. 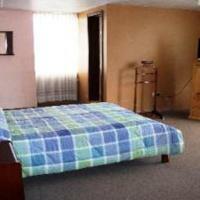 Apartamentos Otorongo is 35 km from Cajas National Park. Free private parking is possible on site. Only a 2-minute walk from the commercial area, Bauhouse Hostel offers rooms with free Wi-Fi in Cuenca. It features a common kitchen and a games room. Parque Calderon is a 2-minute walk away. Rooms at Bauhouse Hostel are very bright and spacious. They feature private lockers, and some have private bathrooms. An American breakfast is served daily. Guests can cook their own meals in the common kitchen. Guests can enjoy themselves in the games room, which features an Xbox 360, or taking part in the karaoke contests that are held on a regular basis. Bauhouse Hostel is a 2-minute walk from Inmaculada Concepcion Cathedral and 2.8 km from Mariscal Lamar Airport. Featuring a garden and a restaurant, Hostal Ines Maria offers free Wi-Fi and American breakfast in Cuenca. The commercial area is a 10-minute walk away and the airport is 2,5 km from the property. Providing a tranquil environment, the rooms in Hostal Ines Maria features private bathrooms. The suites feature city views and spa baths. Guests can order international dishes at the on-site restaurant. Room service is available and laundry services can be arranged upon request. Hostal Ines Maria is a 3-hour drive from the beach area. Free private parking is possible at a location nearby. Featuring a restaurant and a business centre, Hotel Principe offers free Wi-Fi and American breakfast in Cuenca. La Merced main square is 100 metres away and the financial centre is 300 metres from the property. Providing a tranquil environment, the rooms in Principe feature private bathrooms, cable TVs and city views. Room service is available. Guests at Principe Hotel are welcome to use the on-site meeting facilities and shop at the on-site souvenir boutique. International and regional dishes can be ordered at El Monarca restaurant, located inside the hotel. Hotel Principe is a 10-minute drive from Mariscal Lamar Airport. Free private parking is possible. Located in Cuenca’s historical district, Hostal Campanario offers free Wi-Fi and Continental breakfast. The bus station and Marical Lamar airport are 2 km from the property. Providing a tranquil environment, the rooms in Campanario feature private bathrooms and TVs. Room service is available and laundry services can be arranged upon request. Hostal Campanario is 800 metres from the Sagrario cathedral, the Inmaculada Concepcion cathedral and from the Pumapungo archeological site. Millenium Plaza shopping centre is 1,5 km away. Located 2 km from the bus station, from the airport and from Monay shopping centre, Hostal Hogar Cuencano offers free Wi-Fi in Cuenca. The Modern Art museum and the Central Bank museum are a 5-minute walk away. Providing a tranquil environment, the rooms in Hostal Hogar Cuencano feature either private or shared bathroom facilities. Guests at Hostal Hogar Cuencano are provided breakfast for an extra fee. Laundry services can be arranged upon request. Featuring a fully equipped common kitchen, an internal courtyard and a restaurant, Casa Reyes offers free Wi-Fi and 24-hour front desk assistance in Cuenca. The commercial and financial area are 500 metres away. Free shuttles from the airport are included. Providing a tranquil environment, the rooms in Casa Reyes feature private bathrooms, flat-screen cable TVs, and minibars. Guests are provided free local phone calls. Room service is available and tourism information is provided to explore the area. Casa Reyes is 100 metres from the Archeological park and from the Central Bank museum. Marical Lamar Cuenca Airport is 2,3 km away. Free private parking is possible on site. Centrally located 300 metres from the historic centre and from Abdón Calderón Park, Alejandrina Hotel offers free Wi-Fi and breakfast in Cuenca. A restaurant and a garden are featured on site. Providing a tranquil environment, the rooms in Alejandrina Hotel feature private bathrooms, flat-screen TVs and city views. Guests at Alejandrina Hotel are served daily American and Continental breakfast. Room service is available and laundry services can be arranged upon request. Alejandrina Hotel is 3 km from Mariscal Lamar airport. Public parking is possible on site for an extra fee.